On April 3, 1938, this congregation began with a group of twenty-three community members who started Sunday School meetings. They met, studied, and taught their children at the home of C.E. Gordon Larson on Groveland Road and Highway 10. The number of people attending grew quickly and by December the Larsons had added a community room to their house, which was rented to the Sunday School. On December 4, 1938, the first church service was held at 10:45 a.m. in the Larson’s community center with Pastor Kristofer Hagen presiding. 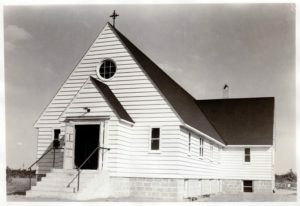 The group was organized as Spring Lake Park Lutheran Church on March 31, 1939. 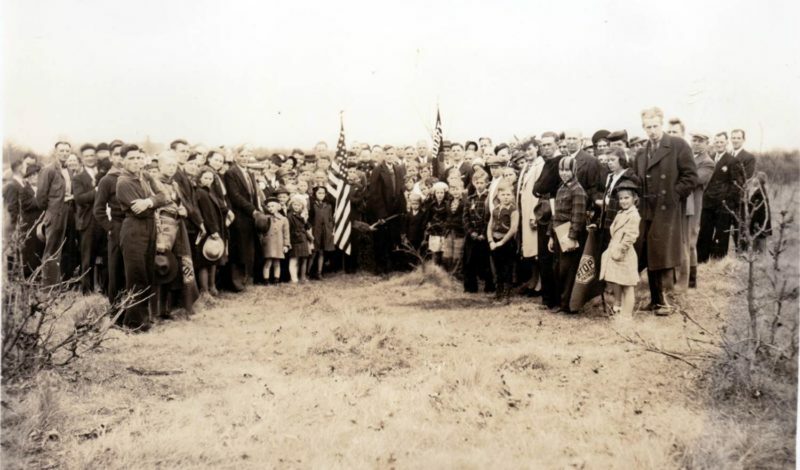 At the first annual meeting in January 1940, the decision was made to build a church. Bronson-Erickson, Inc., a local real-estate company, donated the land. On August 11, 1940, even though the doors and windows were not yet installed, Spring Lake Park Lutheran Church opened for worship at the corner of Red Oak Drive and Hillview Drive. Suburban boundary changes, by 1970, meant that Spring Lake Park Lutheran Church was now located in Mounds View, Minnesota. To reflect that change, the name Abiding Savior Lutheran Church was chosen in August 1971. The long process of making plans for a much needed, larger church began the next year. 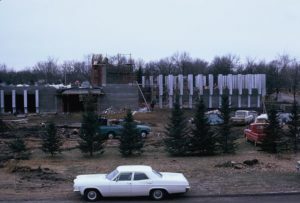 Throughout all of 1973 and into 1974, work continued on the new building. Abiding Savior Lutheran Church at 8211 Red Oak Drive was dedicated to God on April 21, 1974. From our beginnings at the home of Gordon Larson, to the recent renovations we have completed to our beautiful church and grounds, we have certainly learned to not only be together as a congregation, but to carry out the work of God together as well!